g.7. Barend Matthys, geb. 27/09/1879, Lady Grey, oorl. 04/08/1936 x Aletta Jacoba Catharina NAUDE. 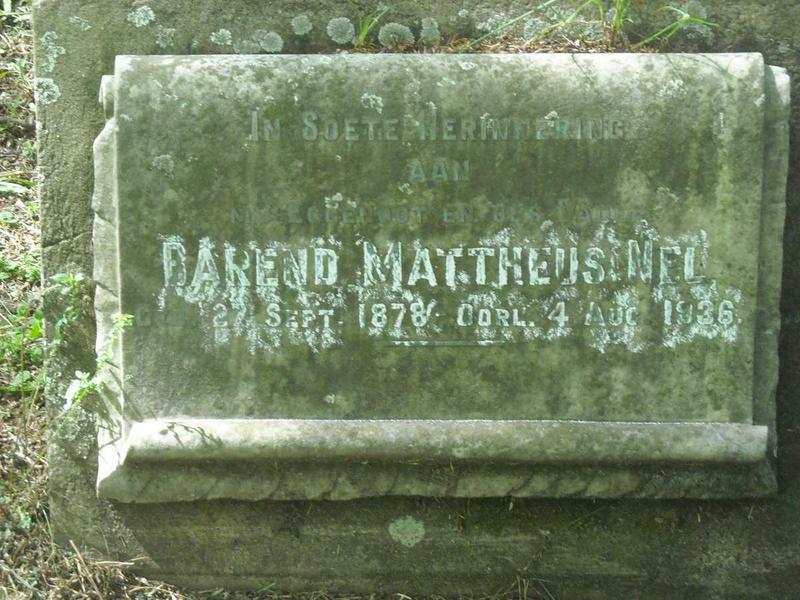 Barend Matthys was die seun van Jan Jacobus Nel en Elizabeth Margaretha van Heerden.